There are times when you have to try something out just to make sure you’re not missing out. 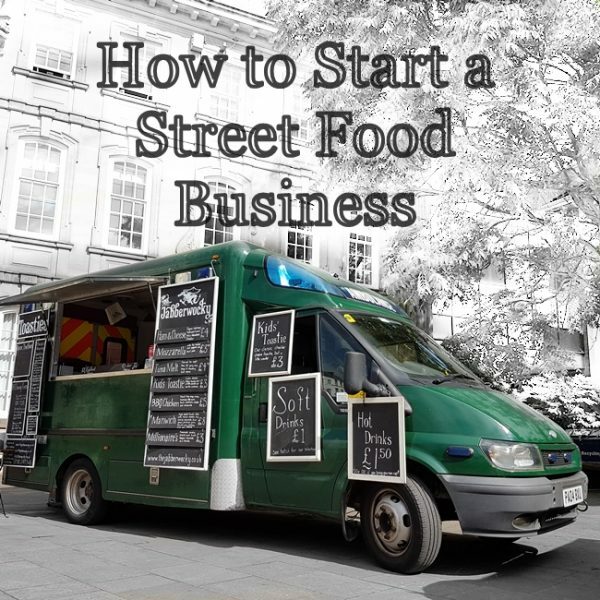 The nature of our street food calling does mean that we spend a lot of time receiving suggestions for toasties that will make us our millions, but the reality is that everyone has a favourite, and that occasionally they are wrong enough to be right. Apparently when Elvis visited the UK he used to get a friend of this guy at Digbeth Dining Club’s dad to go and fetch him this, the Elvis Toastie; the King’s favourite combination. Ask wikipedia and you find similar tales of the legendary grilled sandwich. So, not withstanding the fact that I hate peanuts in all their forms, we decided to give it a go. Here is our version=. 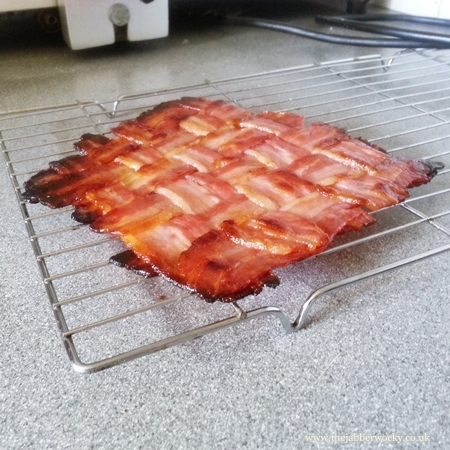 The first step is a bacon lattice. This is the best way to eat bacon and looks a little like this, but for a single sandwich it will be easiest to use half slices. This extra large one was for research purposes. 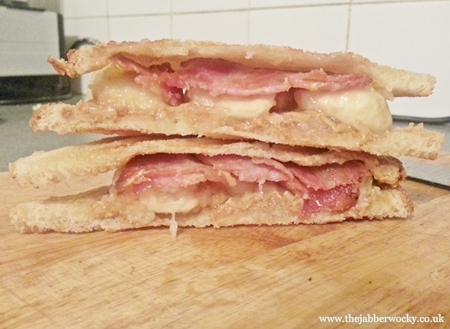 We tried pancetta, which is too thin, and regular streaky, which is too fatty. Dry cure streaky is the way forward. 1. Weave your slices together on a piece of baking paper, then baste thoroughly with maple syrup. 2. Cover with baking paper, place another baking try flat on top, and bake for 20-25 mins @ 180°C (optional additional basting throughout). 3. You are looking for a brownish tinge, just before the edges start to catch. 4. When you achieve that whip it out and onto a baking tray to crisp up. 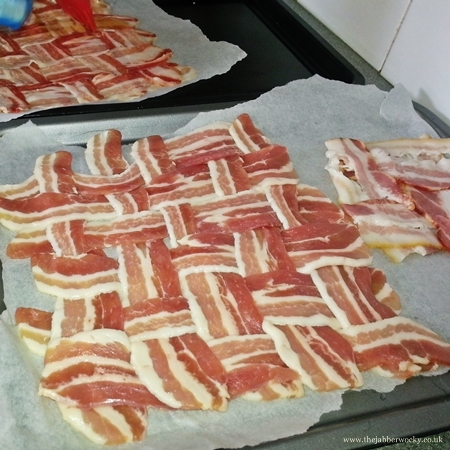 By the way: the pancetta lattice is amazing. If you ever find yourself in the presence of pancetta and maple syrup make this and eat it. It’s a thing of subtle beauty, but lacks presence when pitted against peanut butter. Now standard toastie assembly follows. 2. Spread one slice with a modest amount of PB. Don’t overdo it here, or you won’t taste anything else, and the precious lattice would be wasted. 3. 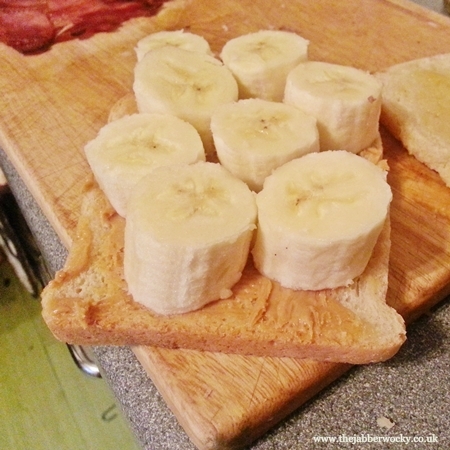 Chop your banana into thick slices and arrange as much as possible on the peanutted slice. 4. Add your lattice. Any bits that stick out should probably be trimmed and eaten, if you had not already prudently thought this far ahead. 5. Top slice it, then cook until the bread goes dark golden (about two minutes per side in a hot pan). Apply pressure from above if you can, flip once. There you have it. The Elivs toastie. I’m still not peanut butter advocate, but this combination is strangely compelling. It rides the mysterious grey line between sweet and savoury; perplexing those who see it on the menu and causing much debate. Having settled on the above recipe we took the Elvis to Digbeth Dining Club last Friday. Purely by coincidence it just so happened that 36 years ago on that very day the King decided to return home. His sandwich received an excellent reception and sold out entirely, which led to much sharing of said topical Elvis factoid amid smug satisfaction at a coincidence well played. To tilt the balance firmly over to sweet you can add a dash of honey to the top slice. I would say you could dial back the maple to make it savoury, but.just.don’t.